Hello and welcome to the 677th installment of the SWD. Improvised explosive device exploded in a vehicle in Al-Hammam district of Latakia city. According to the Syrian Arab News Agency, one civilian was killed and 14 wounded by the explosion. Hayat Tahrir al-Sham launched a raid in the village of Maar Shamarin in southern Idlib, in order to arrest several wanted individuals. However, during clashes with the individuals, Hayat Tahrir al-Sham reportedly killed one and wounded one civilian. Eventually, Hayat Tahrir al-Sham did manage to arrest five individuals wanted for theft and kidnappings. Separately, Hayat Tahrir al-Sham also launched a raid in the village of Tell Manis, arresting three of its members, who were previously part of Ahrar al-Sham on the same charges. Syrian Democratic Forces fully captured Safafinah and started clashing with the Islamic State at the outskirts of Al-Shajilah. 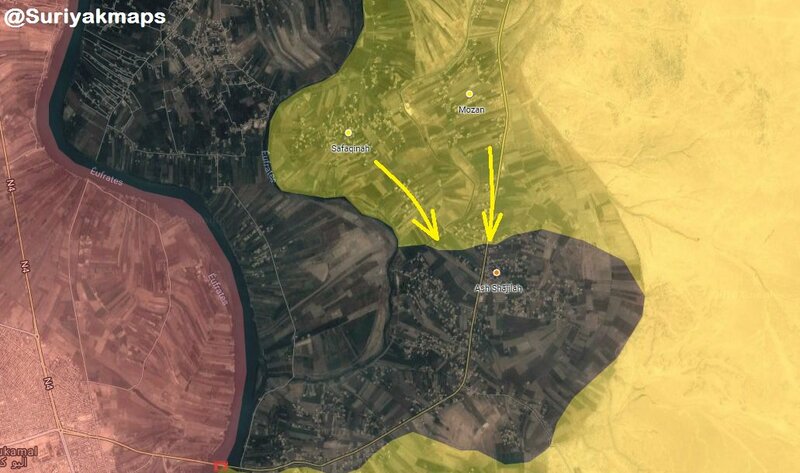 Clashes between the two also erupted on Baghouz Fawqani front. Afghan National Security Forces killed six elements of the Islamic Emirate of Afghanistan (Taliban) in Qarabagh district. Afghan National Security Forces killed nine and wounded three elements of the Islamic Emirate of Afghanistan, as well as destroyed three motorcycles and two hideouts in Khas Urozgan district. Islamic Emirate of Afghanistan’s improvised explosive device destroyed an Afghan National Army’s vehicle in Nakhaiz area of Qalat district. Islamic Emirate of Afghanistan’s snipers killed two elements of the Afghan National Army in Hazar Khel area of Arghandab district. Afghan National Security Forces killed two and wounded eight elements of the Islamic Emirate of Afghanistan, as well as destroyed ten improvised explosive devices in Nahri Saraj, Sangin, and Jerashk districts. Islamic Emirate of Afghanistan ambushed a group of Afghan National Security Forces arriving to Tora Shah area of Jerashk district. Two vehicles were reportedly destroyed, as well as five elements killed and four wounded in the ambush. Afghan National Security Forces killed ten and wounded four elements of the Islamic Emirate of Afghanistan in Maywand district.